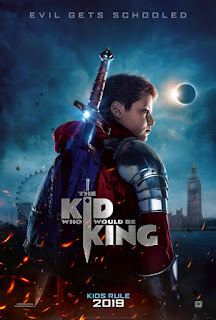 The Kid Who Would Be King is a fun film that carries a positive message for kids. It is a great modern interpretation of King Arthur. It addresses the importance of kindness, honor and friendship and so much more. 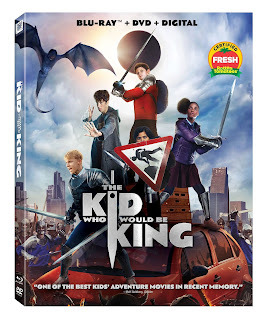 It is a great movie for family movie night, but be prepared as it is a long one, almost two hours long. Merlin gives our young heroes a passionate speech about the importance of upholding the Chivalric Code during their quest to save the world, and as the kids begin to take it seriously they realize it’s value. The chivalric code is just as relevant now as in medieval times. Honor Those You Love – A knight shows gratitude and admiration for the people in their community. Refrain From Wanton Offense – A knight must only use his/her strength for good through acts of chivalry and kindness. Speak the Truth At All Times – A Knight never tells a lie and is a trustworthy & reliable member of the community. Persevere In Any Enterprise Until The End – A Knight never quits. Even when it’s tough, they follow through until the end. There are a number of ways your children can follow the chivalric code on a daily basis! Show gratitude on a daily basis, say your "thank you", let others know you appreciate them, acknowledge them. Refrain from wanton offense and show chivalry by opening doors for others, take a grocery cart back into the store, if you see someone struggling; be the first one to help them! A true expression of one's character is if they are truthful, always tell the truth...even when it is hard. Treat others how you want treated. Lastly never quit, we teach our kids to always follow thru with what they start. Honestly the code is what all children should learn. Our children have been saying their "please" and "thank yous", since they could talk. We get a number of compliments when out in public that folks wished kids were more polite like our children. I love that this movie has this code in it and maybe, just maybe it will hit home with parents and kids to realize the value and importance of following it.